Traveling safely and managing your money along the way is an exercise in balancing multiple risks: theft, loss, high surcharges, and confusing discrepancies. This Travel and Money series discusses various ways to address money and security issues while you are abroad. A prepaid travel card is generally usable in the place of a debit or credit card. You can withdraw cash at an ATM, pay for purchases, and make travel reservations. And as the name suggests, you prepay these expenses by loading money onto the card. It is just as secure as a debit or credit card, since the prepaid travel card is protected by a PIN and/or signature. In fact, some would say that prepaid travel cards are even more secure, since the money is not linked to your bank account and has a limited balance (which limits your exposure). It can also be a handy tool for budgeting, since you would load only the money you plan on spending for the trip onto the card, which helps you stick to your travel budget. 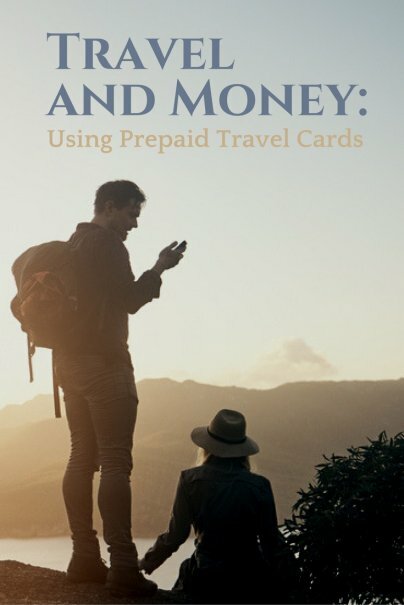 Plug in a simple search for "Travel Money Card" and you'll find a number of financial institutions offering prepaid travel cards that are ultimately backed by credit card companies. Although these cards look and act just like credit cards, they operate on your prepaid balance instead of credit. You can use them anywhere credit cards are accepted, including at the ATM for cash withdrawals. You load money onto the card by direct transfer from your bank account. You can keep loading up the card as many times as you like. If the card is stolen or lost, your bank account and credit rating won't be compromised. PIN and signature cross-checks also help to keep your cash secure. You load your home currency onto the card, and money is converted with each purchase, using the prevailing rates on the day of purchase. Keep an eye on the monthly fees, which can be upwards of $2.50US. You'll probably also get dinged for fees for activation, re-loading money, and making your first purchase. Every time you use an ATM, you could see a fee. If you don't use all the money you loaded on the card (and don't keep the card after the trip), you could pay to cash out your funds (e.g., $20). Some vendors and cards require minimum amounts to be loaded on the card before you can use certain features. For example, if you want to use your card at an automated gas pump, you'll need at least $50 on your card. The currency conversion charge can be up to 7%. Travelex has their own prepaid travel currency card called Cash Passport. 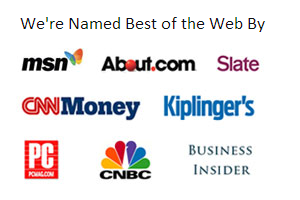 They include — but are not limited to — cards backed by various credit card companies. You pre-pay for a specified currency in advance, thereby locking in the exchange rate when you load money onto the card (instead of paying the prevailing rates each time you use the card). You can use the card anywhere debit cards are accepted. Cash Passports are currently only available in US Dollars, Euros, or British Pounds. Similar to prepaid travel cards from the credit card companies, you'll be on the hook for monthly fees with Cash Passports, too; around $2.50US. Keep the number of ATM withdrawals to a minimum, since you will pay for it each time. If you are in the UK, check out the FairFX Currency Card, which provides US Dollars or Euros and boasts favorable currency exchange rates. Overall, I don't use — or plan to use — prepaid travel cards, for a few reasons. First off, as a full-time traveler, I tend to juggle many different currencies, and these cards seem a little restrictive for my needs. I also don't like the monthly charges and some of the currency conversion fees. If I didn't own a credit card, I might actually see some value in traveling with one of these prepaid travel cards; however as a devout credit card user, I think I'm pretty well covered (earning frequent flyer miles to boot). Do you have experience with prepaid travel cards? Please share in the comments! Hi, thanks for this article. i have just been researching prepaid travel cards (I'm from the UK). You need to update your travelex info since they now do several different currencies for their cash passport, such as canadian dollars (which I just purchased). You can load for free if you use BACS, and ATM withdrawals are free and there is no monthly card fee unless you don't use it for something like 15mths. It lasts for 4yrs. Not bad. The travel exchange rate may not be the best but with the charges that banks now have for using your debit card abroad, it's probably a better deal. @St Augustine - Thanks for the feedback. For US residents, the Travelex Cash Passport terms and conditions that I've outlined in this post still stand true. So it looks like as a UK resident, you get a great deal! I'm glad you have found an option that works well for you, and thanks for sharing. @Karen - Are there no fees associated with owning said MC prepaid debit card? Saw this linked from LifeHacker, and thought, "What a great idea! ", and then saw all the gotchas. Probably wouldn't do this either, for the reasons mentioned. @Waldemar - I certainly think that setting up a special account for travel can be a great tool for stop-loss purposes as well as budgeting purposes. Great article. I've been traveling a lot and have been looking into this. It is a disgrace how some prepaid cards will nickel and dime you with fees every month. I have been hit several times for crazy decline fees and others. I am currently using Netspend (http://yournetspend.com) and they currently dont have all these crazy fees once you become a Premier member, Plus they offer a savings account so you can also save. Travelex Cash Passport stolen. Thieves removed 700Euro within 10 minutes without PIN. Travelex says I am completely liable for the loss because no one could guess the PIN. They accuse me of supplying the thieves with the PIN. What can I do? Does anyone know if a prepaid travel card is available to U.S. residents?